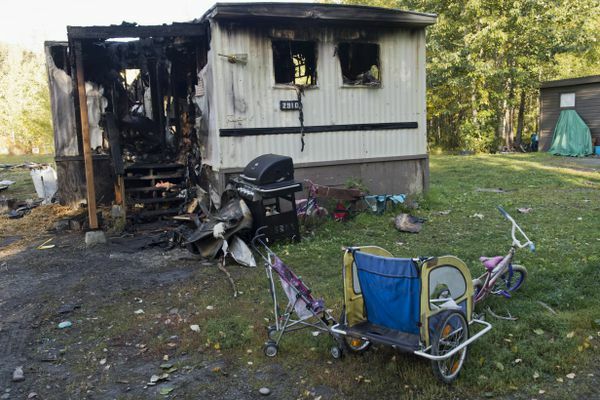 The family is questioning the finding that the fire was related to cooking, said the girls' grandmother. 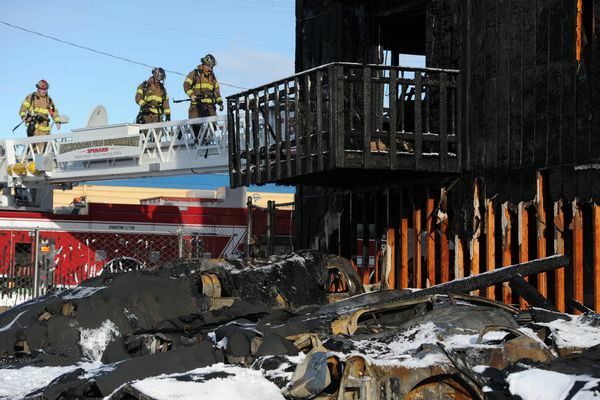 There were no other injuries from an East Anchorage duplex fire late Friday. 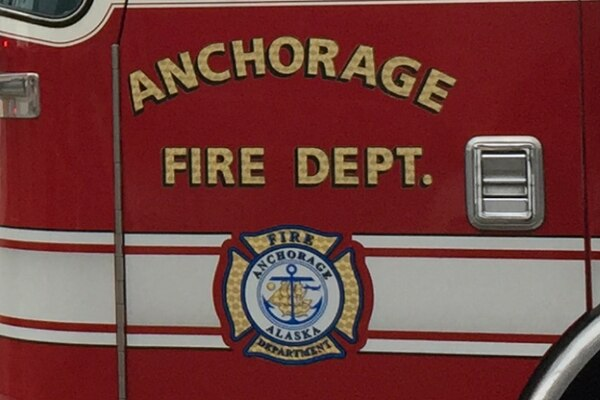 The Red Cross of Alaska was called to assist two adults and four children displaced from one of the homes. 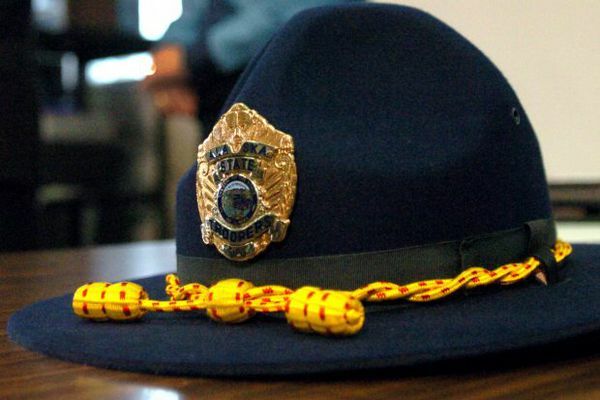 Next of kin for the deceased, tentatively identified as 69-year-old William Block of Seward, have been notified. 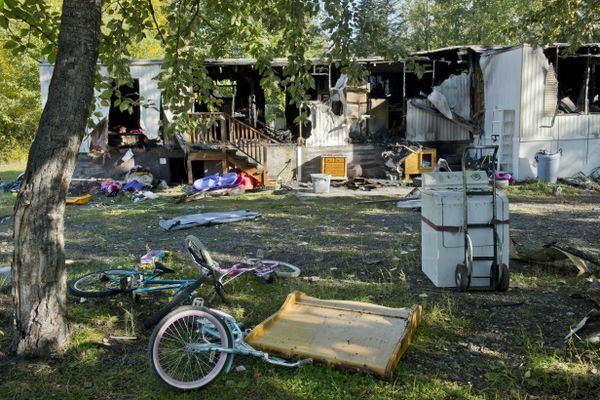 Andrew Engelking, his pregnant wife Katie McClain-Engelking, and their kids all survived after leaping from a burning apartment building last month in Spenard. 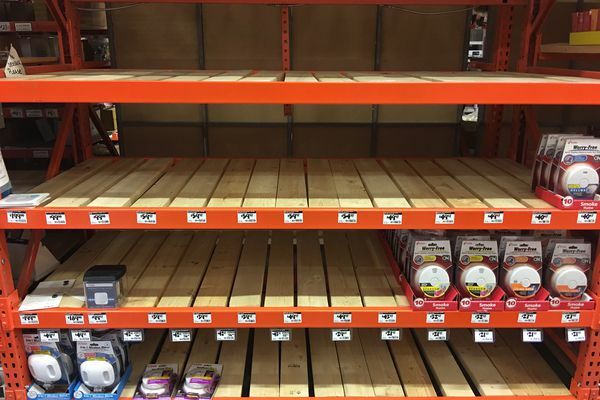 Local Lowe’s and Home Depot stores sold out of CO detectors earlier this week, after news of a fatal fire and a carbon monoxide leak last month. Firefighters brought the blaze on M Street, near the Delaney Park Strip, under control in about 10 minutes. 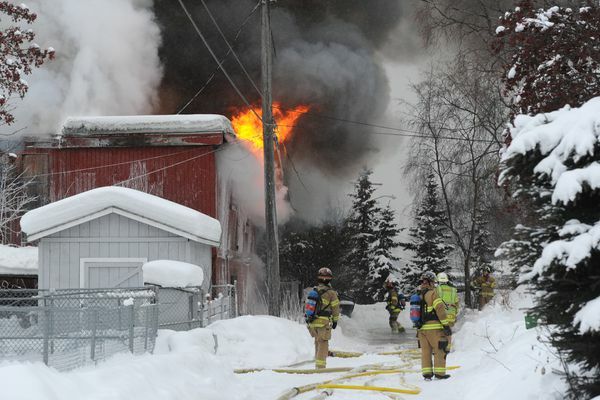 An 82-year-old man, Franklin "Ironman" Pitka, died in a fire in Galena early Thursday, the volunteer fire chief said. 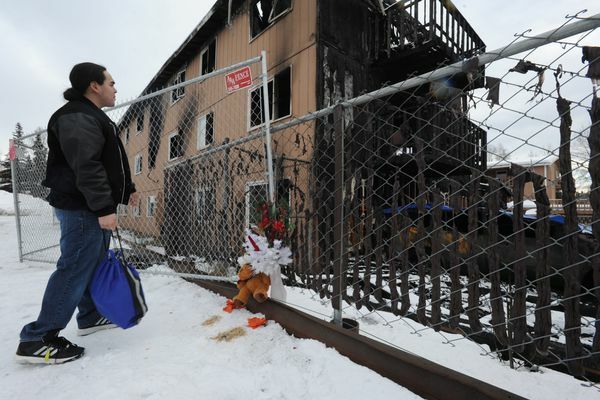 Police wish to speak with Andrew John Eknaty, 28, in connection with the deadly Royal Suite Apartments fire. 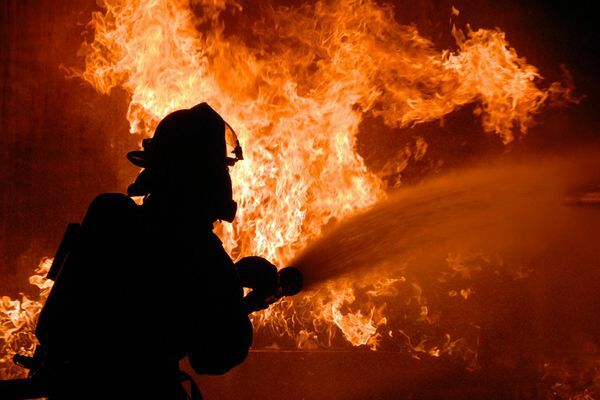 The fire, on the second floor of the bar on the 500 block of East Fifth Avenue, was brought under control 20 minutes after firefighting crews arrived. 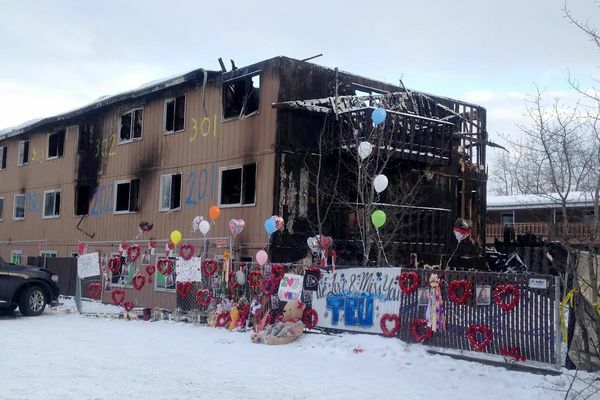 There's no state or city regulation that could have prevented a bedridden woman from dying in last week's huge Spenard fire, officials said. 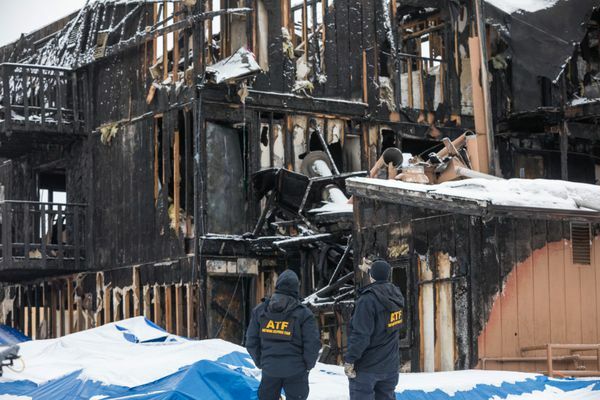 The last time the U.S. Bureau of Alcohol, Tobacco, Firearms and Explosives was called in to investigate a fire in Alaska was 2002, police said Saturday. Teuaililo Nua was a case manager at Cordova Center, a halfway house where people remembered her fondly as always striving to help others. 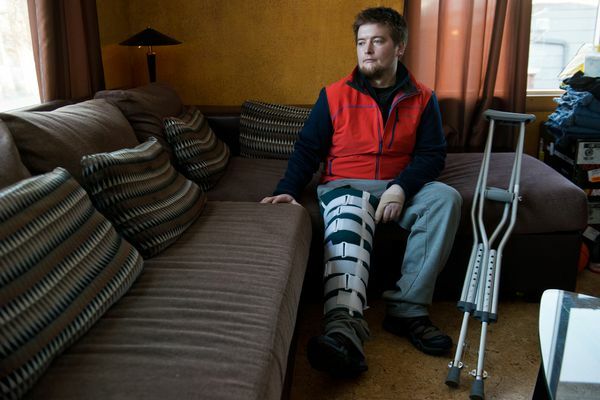 Her husband talked about her final moments. 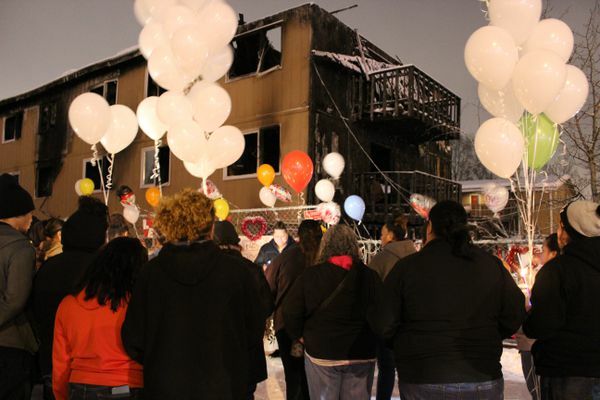 As police were seeking help finding Vivian Hall's next of kin, mourners gathered for a vigil Friday to remember the other victim, Teuaililo Nua. 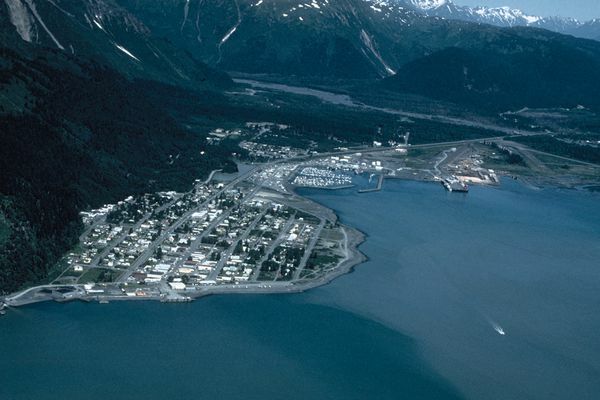 Federal investigators were traveling to Alaska from the Lower 48 on Thursday to assist local investigators in establishing the cause of the fire. 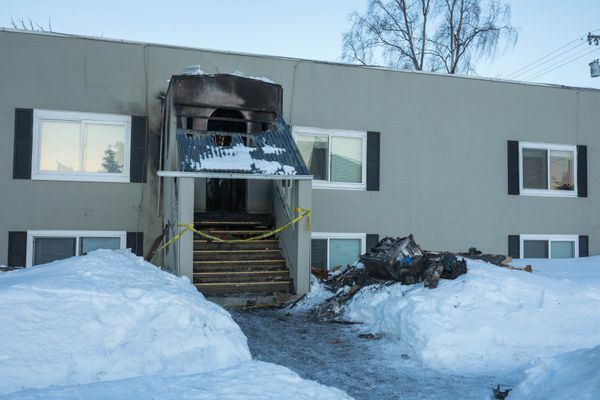 The Spenard building didn't have sprinklers — but they weren’t required, an official said. 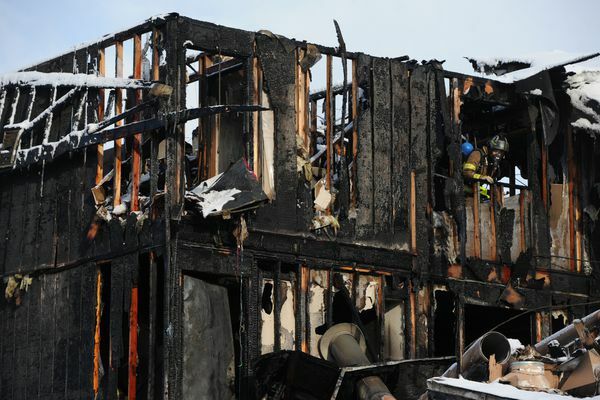 Sixteen people were injured and dozens were displaced by the fast-moving fire at the Royal Suite Apartments on Minnesota Drive. 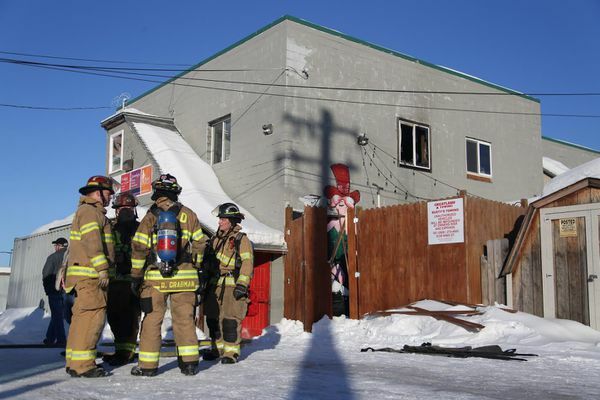 Everyone was safely able to escape the fire on the 1400 block of Karluk Street, firefighters said. 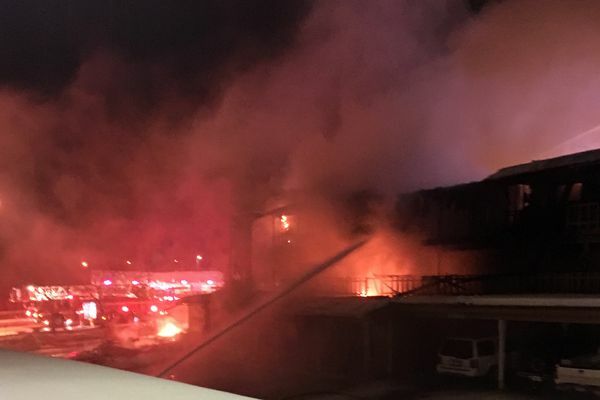 Fuels and oils in the Minn-Alaska Transport facility exploded during a fire just before midnight Friday, according to Palmer firefighters.